Paula Wolfert's name is synonymous with revealing the richres of authentic Mediterranean cooking, especially the cuisine of Morocco. 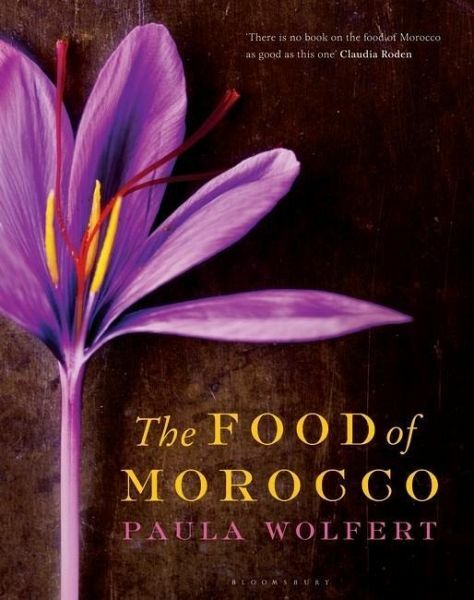 In The Food of Morocco, she brings to bear more than forty years of experience of, love of, and original research on the traditional food of that country. The result is the definitive book on Moroccan cuisine, from tender Berber skillet bread to spiced hariria (the classic soup made with lentils and chickpeas), from chicken with tangy preserved lemon and olives to steamed sweet and savoury breast of lamb stuffed with couscous and dates. The recipes are clear and inviting, and infused with the author's unparalleled knowledge of this delicious food. Essays illuminate the essential elements of Moroccan flavour and emphasise the accessibility of once hard-to-find ingredients such as saffron, argan oil and Moroccan cumin seed. Paula Wolfert is widely acknowledged as one of the premier food writers in America. Her writing has received many awards, including the Julia Child Award, the M.F.K. Fisher Award, the James Beard Award, the Cook's Magazine Platinum Plate Award, and the Perigueux Award for Lifetime Achievement. She has a regular column in Food & Wine magazine, and her articles have appeared in major publications, including the New York Times, Saveur, Fine Cooking, and Cook's Illustrated. She is the author of six other cookbooks, including Couscous and Other Good Food from Morocco, Mediterranean Cooking, and The Cooking of South-West France.